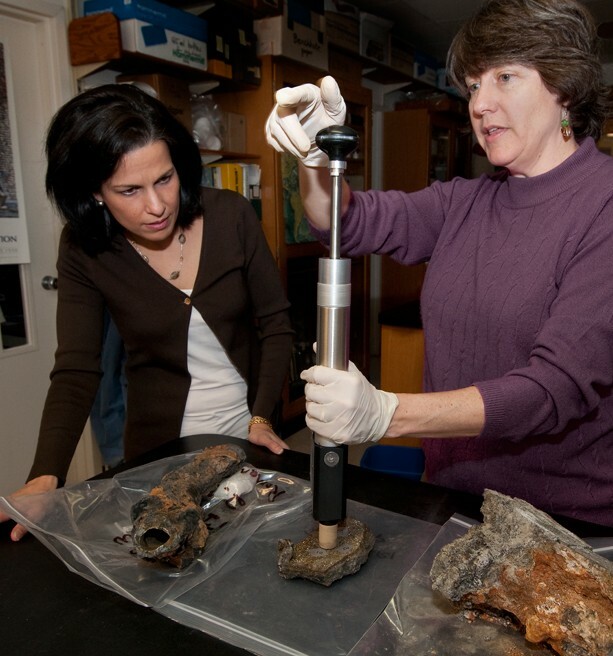 Learn about this awesome Oceanography Career! What is a Marine Geochemist? 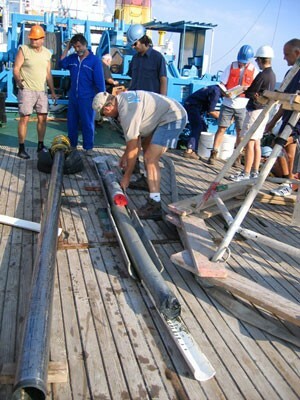 A Marine Geochemist are researchers from geochemistry (a sub-specialty of geology and chemistry). They study chemical components of rocks and minerals to evaluate Earth's changes, get rid of harmful wastes, and learn where to drill oil. It is mainly focused on changes in the ocean floor that establishes common ground between ocean chemistry and the way it affects the environment. Marine Geochemist's usually spend most of their time outdoors and traveling the world. The hours they work vary, however when they do work it is in teams. 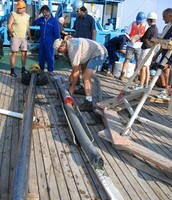 Studying sediment samples from the Black Sea. Tracy Mincer shows a substance from the ocean that will be look at to determine molecules helpful for human health. 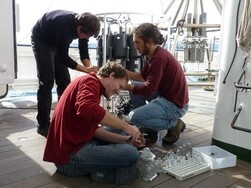 Sample water from Japan to seek the fate of radiation released after the earthquake. This is meant to obtain a geographical distribution of the depletion and export production of organic carbon in the preceding approximately 2 months. 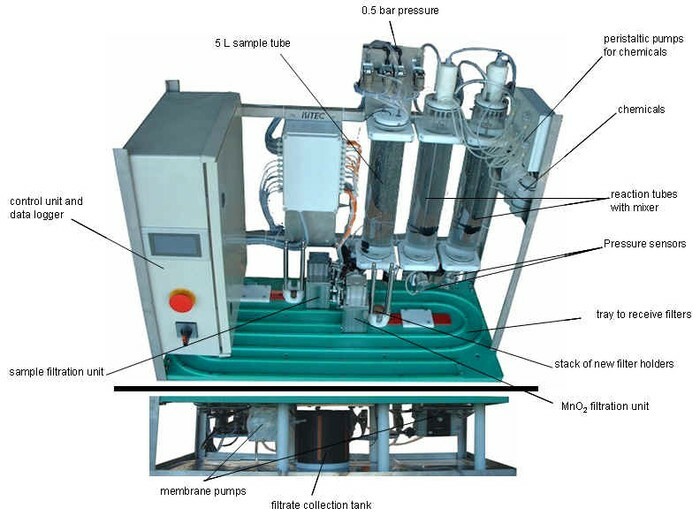 The differential scanning calorimeter that measures energy directly and allows precise measurements of heat capacity. It is the difference in heat required to increase the temperature of the sample. An apparatus for separating isotopes according to mass. 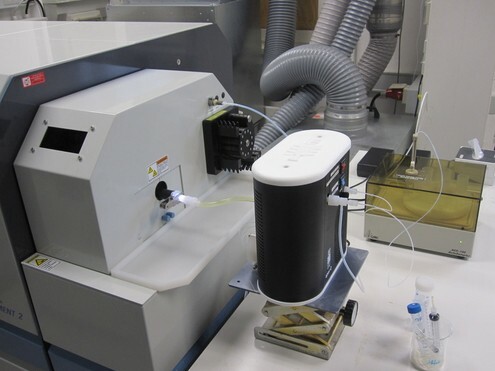 Then the sample is vaporized and ionized to give it a distinctive mass spectrum. More about how to get started in it. To be a Marine Geochemist one would need to get an undergraduate or postgraduate degree. The degree can include a Bachelor's of Science, a Masters, or a HND in a relevant subject. As long as you have a degree at a university that deals with the subject, then you are good. Marine Geochemist's make an annual salary of $82,500 according to BLS. The more experienced you are and the better your degree, then the more you make. It all depends on the education, employer, and economic cycles of industries. 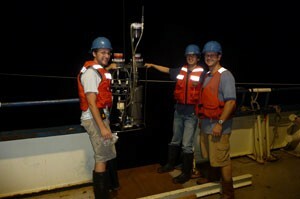 Nighttime sampling for distribution patterns of elements in the ocean. Transferring particles from surface waters into sediments. They help the environment with better water quality and reducing pollutants. Marine Geochemist's also are required to travel the world, so they can see cool places. Since they are traveling a lot, they are not home really. They do have weekend hours due to a non normal work schedule, so they do not have a relaxing weekend. The picture below shows a Marine Geochemist doing his work at night. Why is a Marine Geochemist important today? Marine Geochemist's are employed by oil companies, petroleum companies, consulting geology companies, government, and education institutions that specifically enable these organizations to identify a lot. This includes hydro-carbon, groundwater resources, hydrology plans, and the effects on the environment with such programs. However, they are important to people for a specific reason. They help develop and sustain water resources for cities as well as geographical regions around the world. 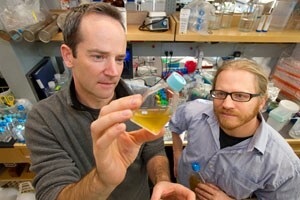 Marine Geochemist's are also responsible for keeping freshwater clean. They evaluate it and make sure it is safe to drink. In addition, they oversee every contamination to make sure it is taken care of. For example, they oversee oil spills. With the contamination they make sire no one becomes sick and remains healthy.